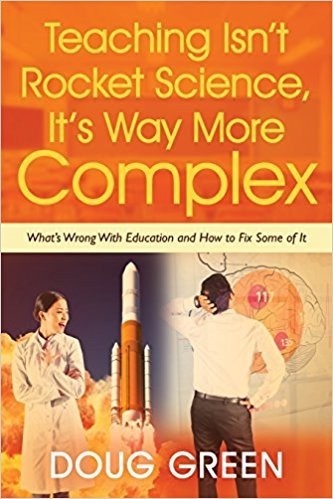 This book demonstrates the given leadership and grassroots democratic improvement efforts, and some protection from onerous bureaucratic requirements, school districts and even entire states (MA) can rise to the challenge of educational innovation. Ironically, reformers have ignored the most important business lessons like those promoted by Deming. There is nothing wrong with accountability, but we need better accountability than the current crop of standardized tests. Perhaps student projects could be evaluated. We need to beware of claims the charter schools are outperforming the public counterparts as even some charter founders concede that there are no “apples to apples” comparison between public schools and charters. Michigan seems to be the poster child for a state where charter expansion with limited regulation has had negative results. Another key to improving achievement is to make sure poor schools are better funded. We also need more focus on vocational training. In short, if you want better schools you need more local autonomy and less interference by the elites who currently control education reform. Andrea is a lone-time management writer and the Bloomberg chair of business journalism at Baruch College/CUNY. She is a former staff writer and editor at U.S. News & World Report and Business Week. She has written for the New York Times, Los Angeles Times, Smithsonian Magazine, The Harvard Business Review, Fortune, and the Village Voice. She lives in New York City. Follow her on Twitter @aagabor and check out her blog. This entry was posted on Monday, November 19th, 2018 at 6:49 am	and is filed under Book Summaries, Education Books, Leadership Books. You can follow any responses to this entry through the RSS 2.0 feed. You can leave a response, or trackback from your own site.